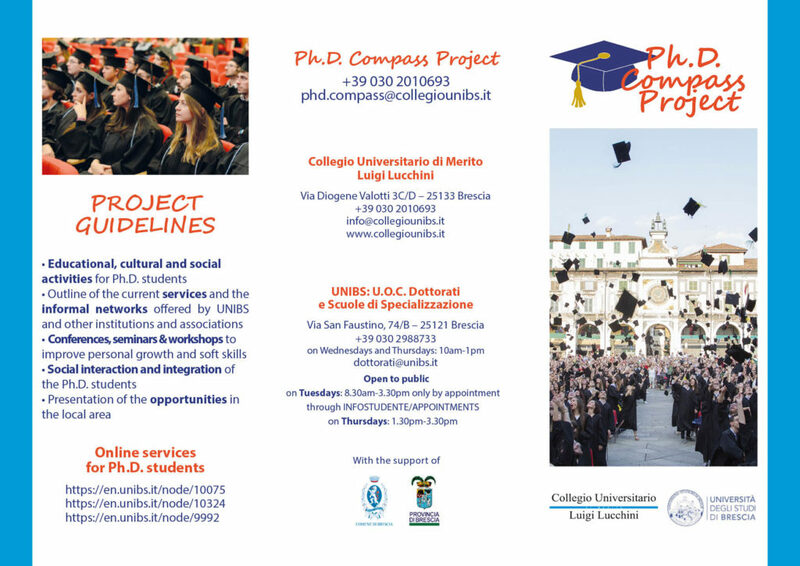 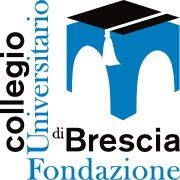 We are pleased to invite all the Ph.D. students of the University of Brescia and their supervisors to the first Ph.D. Compass meeting. The first “Welcome day” will take place on March 18th at 18.00, at the Collegio Universitario di Merito Luigi Lucchini, in via Valotti 3C/D, Brescia (close to the Engineering buildings). 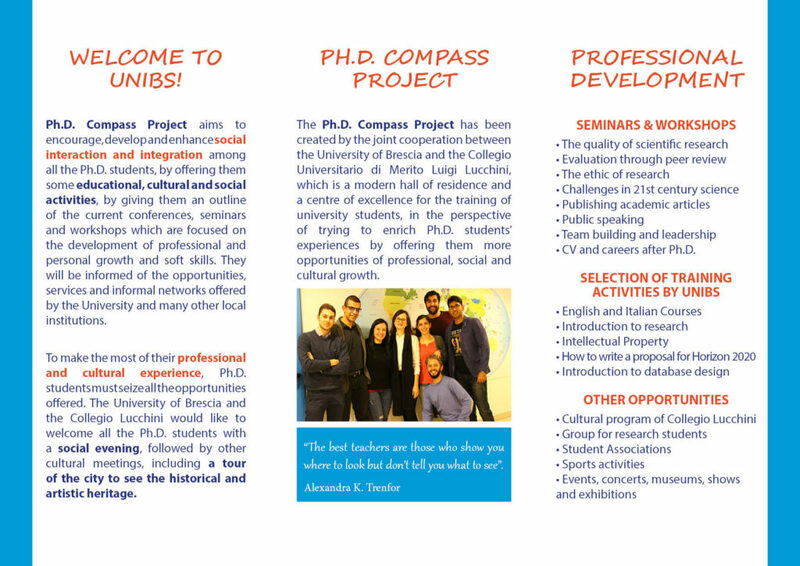 Click here to open the Programme of the Day and the Calendar of Events.